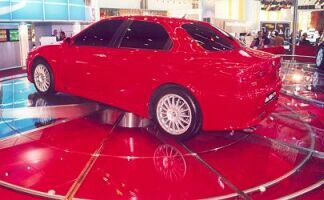 The Alfa 156 has been in production now for four years. 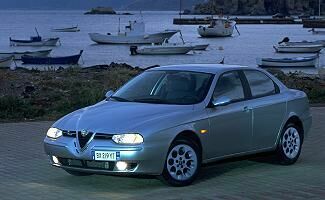 It has sold just under half a million saloon and Sportwagon units throughout the world, and now occupies a position in European segment D, where it has easily tripled the Alfa Romeo share: from 0.7% in 1996 to 3.2% in 2001. 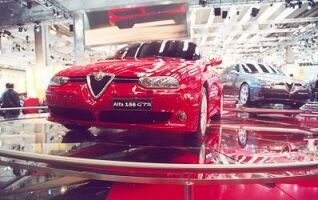 It also boosted overall brand sales, which rose - in Europe - from 117,500 in 1996 (0.9%) to 202,100 in 2001 (1.4%), i.e. an increase of 72%. 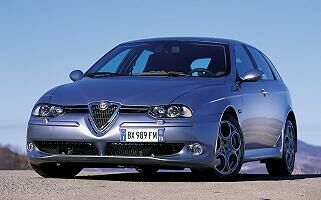 Alfa Romeo have now introduced a full revised range of the Alfa 156 Saloon and Sportwagon. 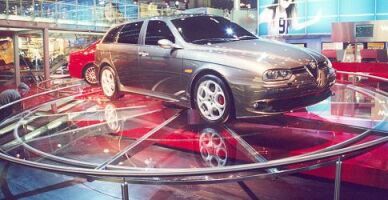 The only features that these two cars share with their predecessors are their external bodyshape and outstanding dynamic assets. 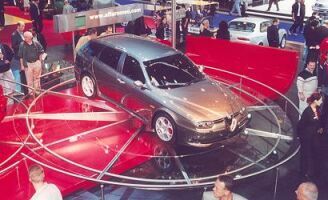 Everything else has undergone deep-seated changes to offer: better performance, more safety, a comprehensive telematic array and more opulent interiors. 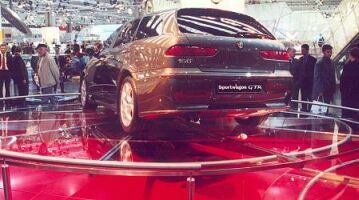 The Alfa 156 GTA and Sportwagon GTA offer all the attributes of the 156, but also hold something extra in reserve: more performance, more handling, more braking capacity. All the dynamic performance of a car destined for the track, in other words. 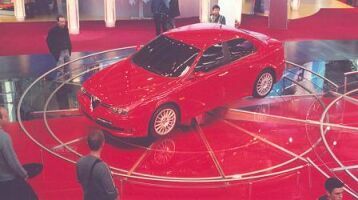 Two versions were displayed on large angled revolving stands, a red saloon and a metallic grey Sportwagon, the windows were blacked out to hide the rumoured much revised interior. 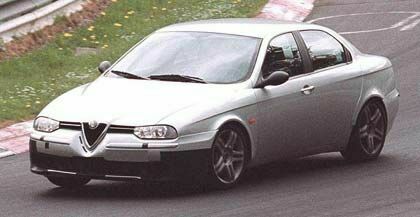 Pre-production Alfa Romeo 156 GTA prototype testing.